All racing at the Royal Cork yacht Club today had an early start to enable competitors to watch the Ireland v Argentina Match. It was so much different passing Drakes Pool on the road to Croshaven at 9am on a rather grey day but it still looked magnificent in its stillness with wonderful reflections, a tide on the turn, the autumnal colours glorious, and the lights of the wind turbines twlnkling on and off as they rotated in the breeze. True to the forecast there was breeze in the harbour about 10/12 knots from the north east which produced a cold nip in the early morning air. 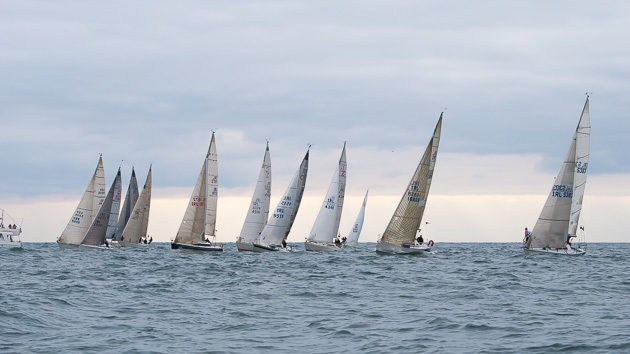 There was also an air of absolute intensity from the smallest Optimist to the largest cruiser to get to their race areas on time where the Race Officers for all the fleets were ready to go on the dot of their allotted start times. 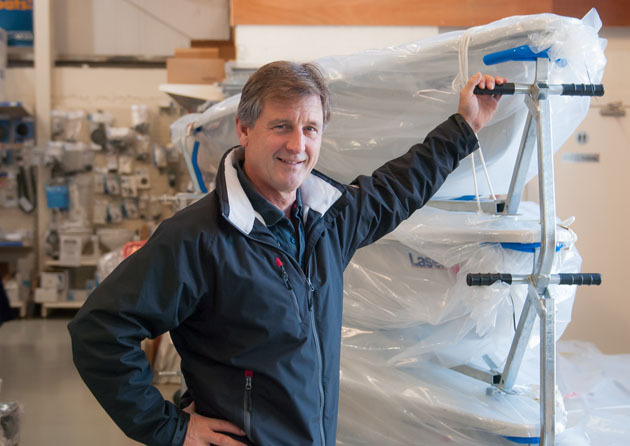 Mention should be made here of our Autumn Series Sponsor, Nick Bendon of CH Marine, a very generous sponsor. 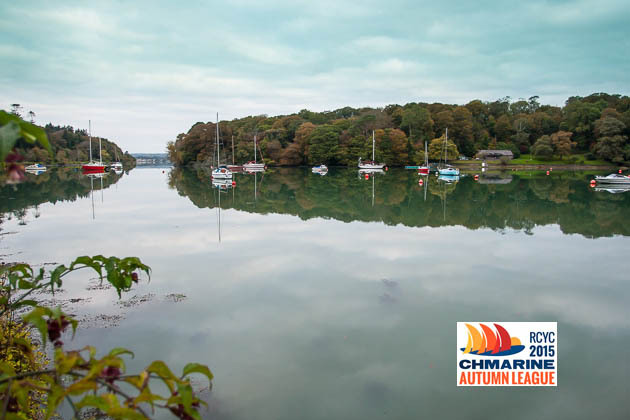 The day prizes are gift credit cards for his well known Chandlery business in Cork and Baltimore and are extremely sought after and appreciated by the winners. The main prizes will be presented at the prize giving dinner on Saturday night. 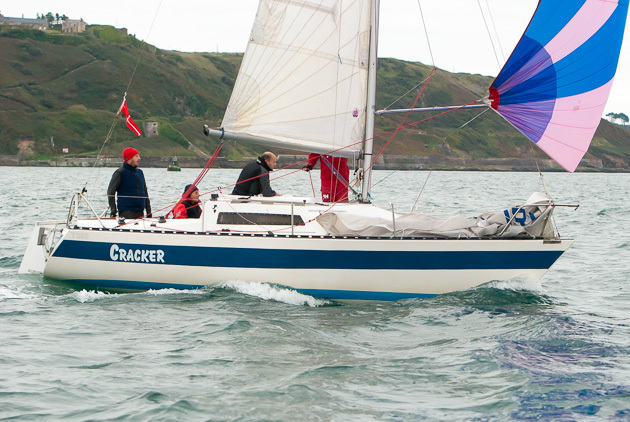 CH Marine has also recently taken over the agency for the Laser brand in Ireland. 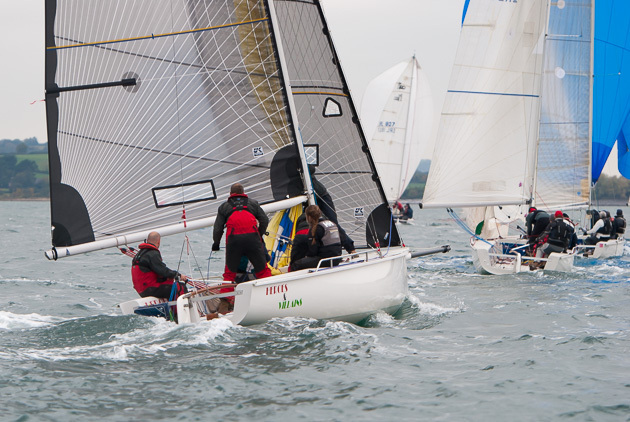 With eight races of the series now sailed several classes are wide open and it is all to play for in the final races next Saturday, October 24th. 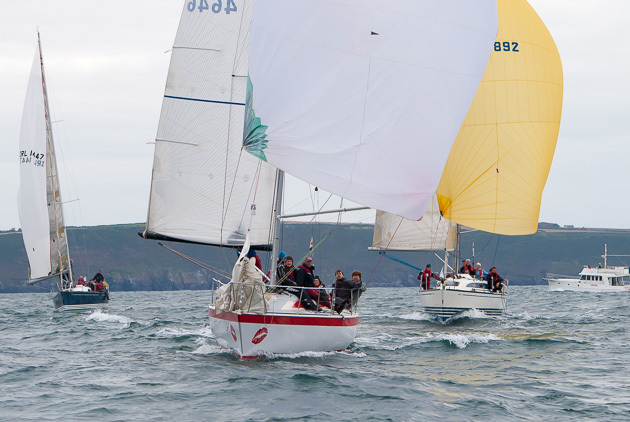 In Class One IRC Fools Gold had two wins today and is leading by a good margin from Freya followed by Tux. In IRC Two it is very tight at the top with only two points separating the top three boats with Bad Company on 12 points, Alpaca on 13 points and No Excuse on 14 points. In IRC Three Ya Gotta Wanna and Bonanza had a first and second each today and that leaves Ya Gonna Wanna on 11 points, Bonanza on 14 points and Sea Hawk is lying third on 16 points. 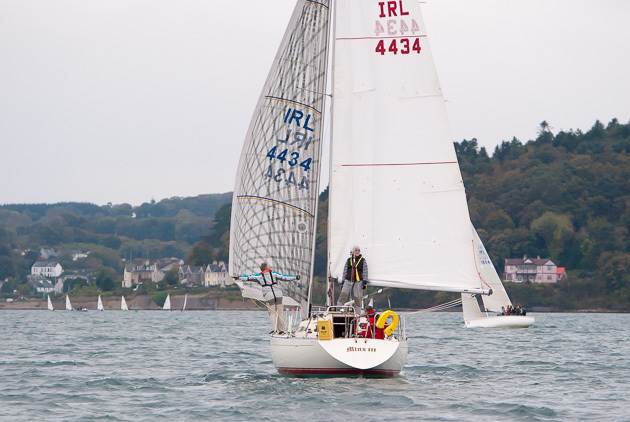 In IRC Four our regular visitor from Kinsale, White Magic had two wins today and leads the class on 9 points with Cracker on 11 points and Seven Whistler on 22 points. In the 1720 Class T Bone leads on 26 points with Aquqtack on 28 points and Heros and Villians on 33 points. 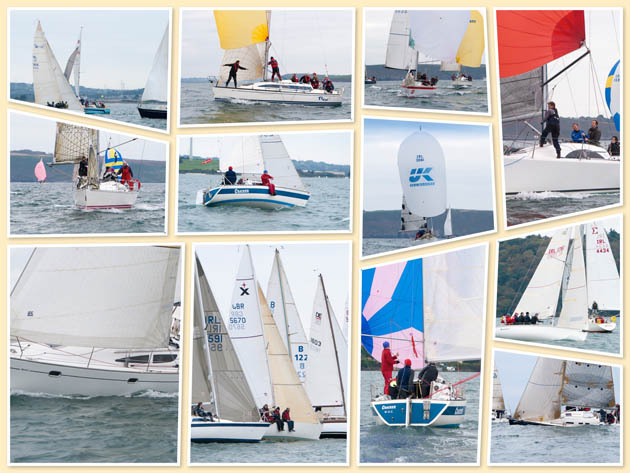 In IRC WHitesail One Aisha had two wins again today and is lying on 9 points with Split Point on 12 and Wild Honey wo did not sail to day on 25 points. 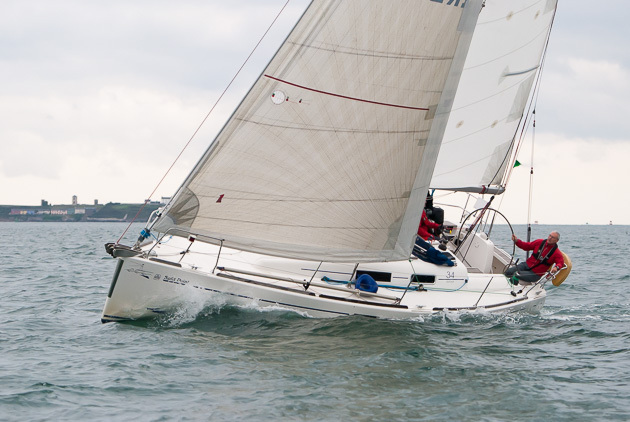 In IRC Whitesail Two Minx 111 lies on 9 points, with Promethus on 15 points and Fast Buck on 22 points.